This is a beautiful picturesque hole to admire from the tee, with a mixture of wonderful, mature trees lining the fairway on both sides. A really challenging par 4, usually played into the prevailing wind. 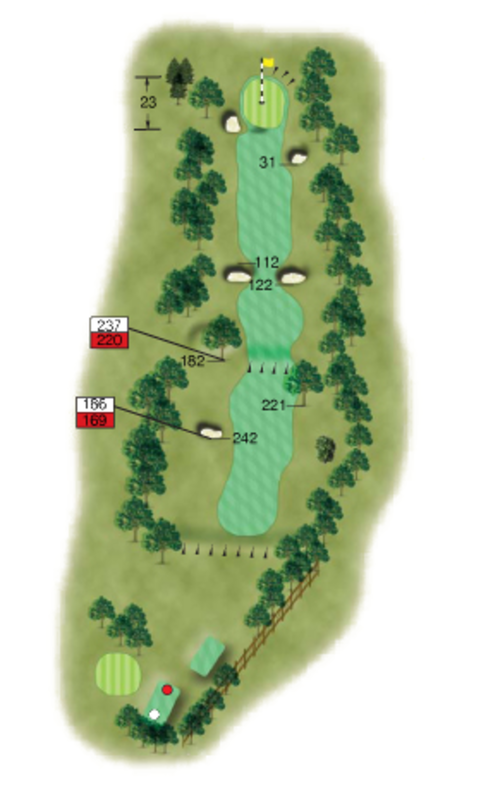 The drive plays downhill for the most part, fairway bunkers left and right make things more difficult. More bunkers await the approach shot to a tricky green with deceptive slopes. A long picturesque par 4. Beware of the slopes on the green, there can be more borrow than you think.